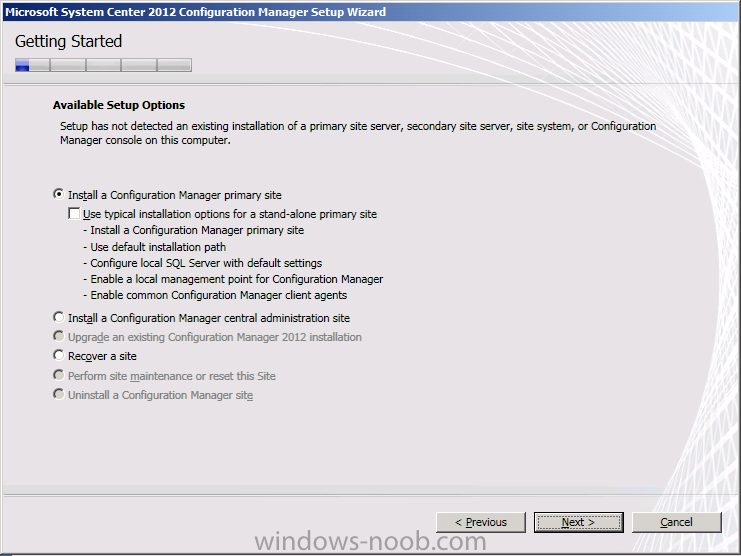 Configuration Manager 2012 introduces the central administration site and some changes to primary and secondary sites. 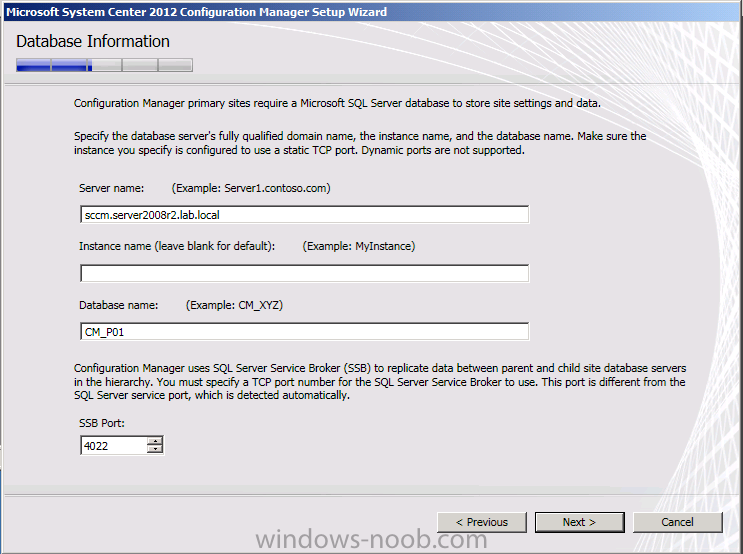 The following tables summaries these sites and how they compare to sites in Configuration Manager 2007. Controls content distribution for clients in remote locations across links that have limited network bandwidth. We are going to create a Standalone Primary Site in our LAB (creating a CAS and then another Primary is a bit more work, I may write up that process in the future), so let's get started, and to start off with I re-used/recycled my lab from Beta 2 by applying the day 1 snapshots effectively giving me a blank activated AD and blank SCCM 2012 server with the Operating System ready and activated. This is a huge advantage of doing labs in a virtual environment. The SCCM 2012 RC server for this lab has a C: partition (OS) and 150GB D: partition (DATA). 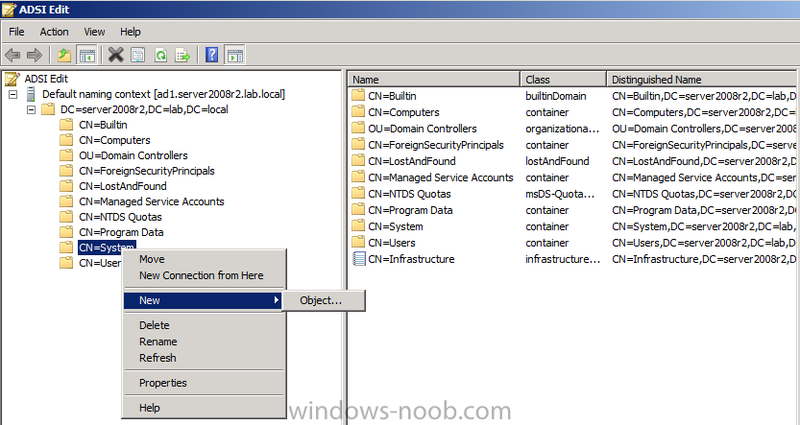 The Domain Controller (AD1) is running Server 2008 R2, and is hosting the DHCP server and DNS roles. 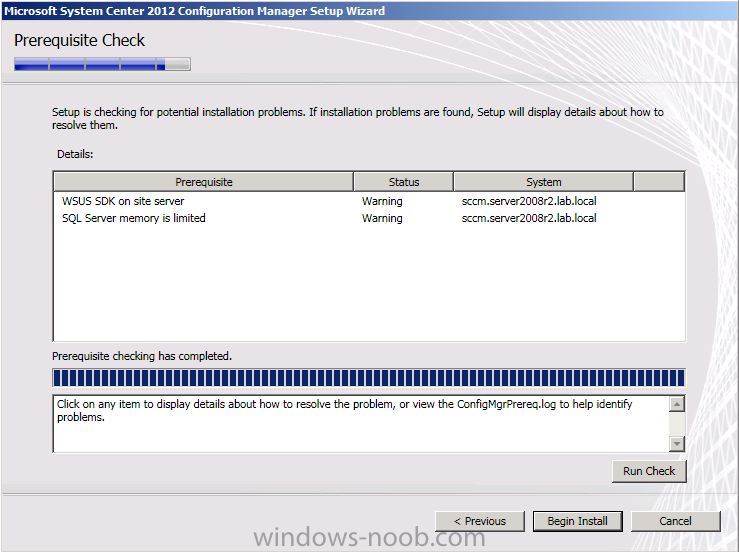 I chose to install Windows Server 2008 R2 standard as the server OS for SCCM 2012 RC. Once done I joined it to my domain (SERVER2008R2), verified DNS was working correctly via nslookup and was ready to begin the steps below. 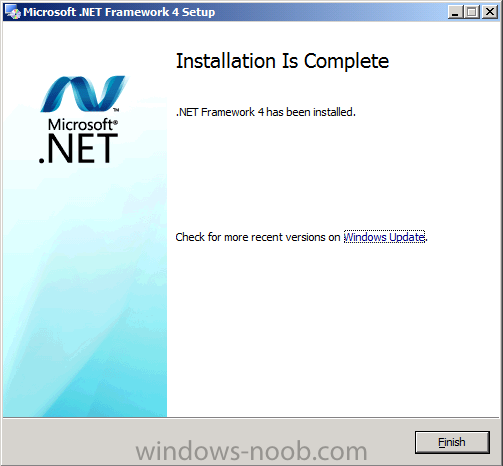 * ClientInstall, a domain user for installing the Vnext Client. 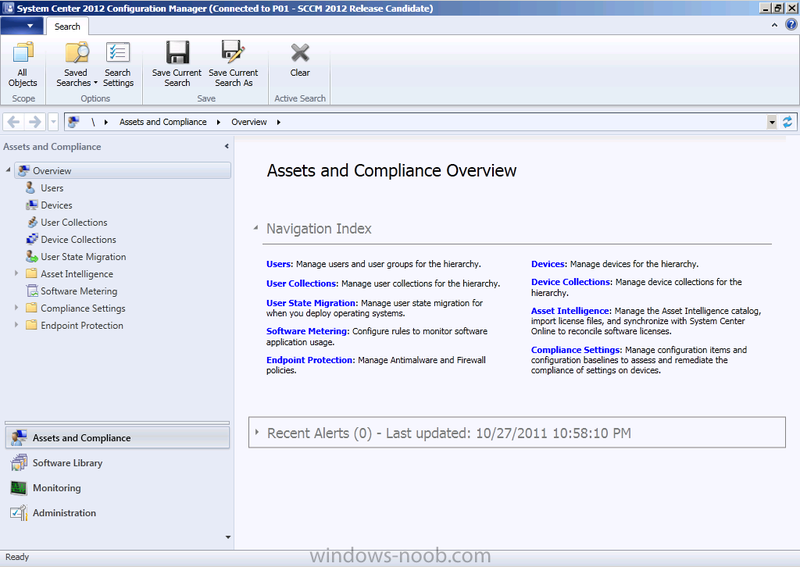 This user will be a local administrator on computers you want to install the vNext Client. On the SCCM server I added the SCCM site server computer account (SCCM$) as a member of the Local Administrators Group. In addition, add the SMSadmin user to the Local Administrators group *you can add the ClientInstall account also). you can download it from Microsoft here. 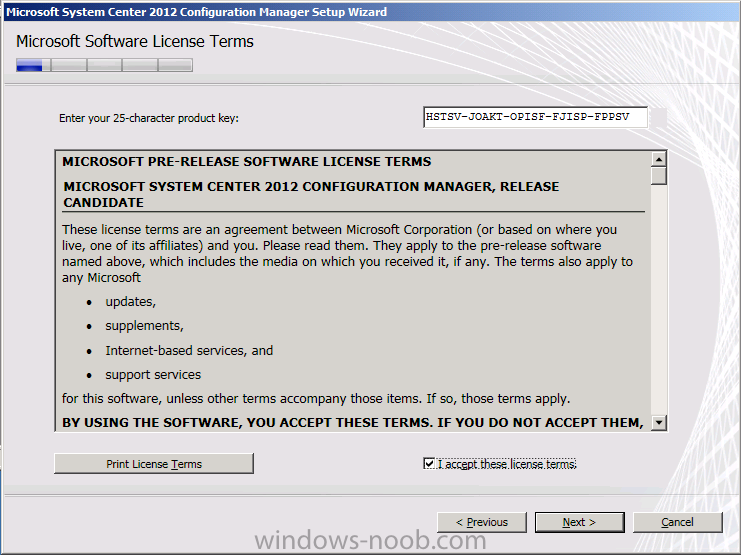 For Supported Configurations information, visit http://technet.microsoft.com/en-us/library/gg682077.aspx. Choose Container from the options, click Next and enter System Management as the value. Click Next and Finish. Press F5 to refresh ADSI Edit and you should now see the new System Management Container. Close ADSI Edit. Step 4. Delegate Permission to the System Management Container. 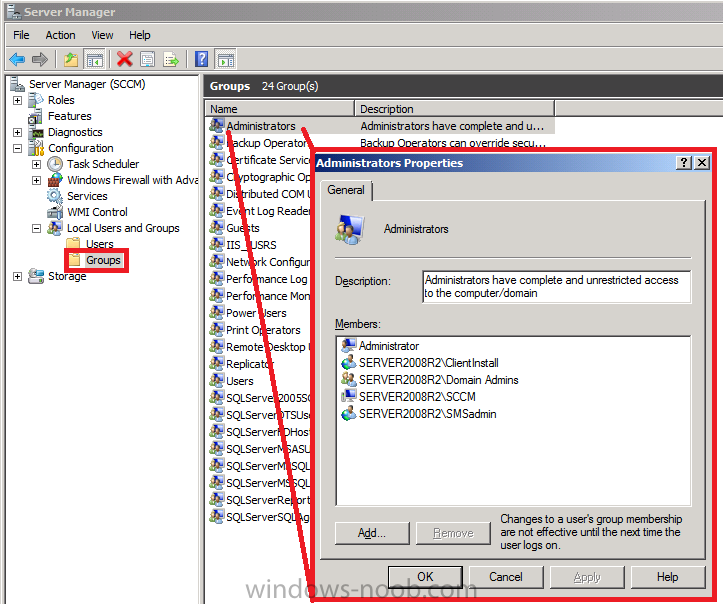 The Active Directory schema extensions for Configuration Manager 2012 are unchanged from those used by Configuration Manager 2007. 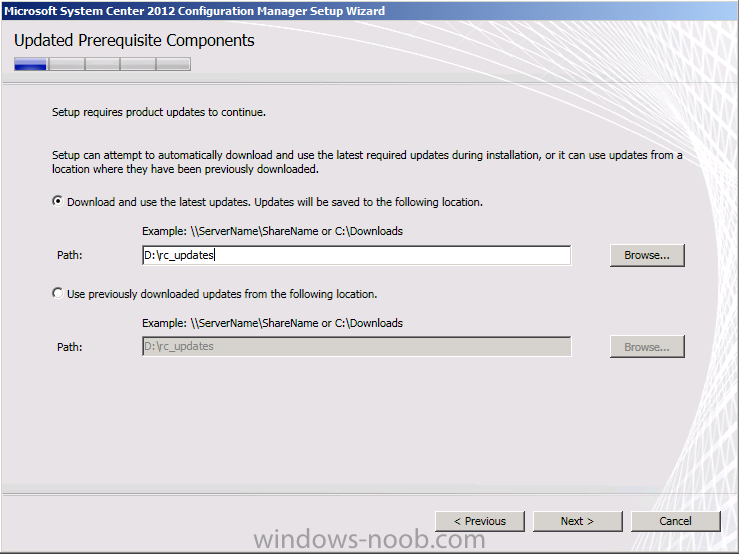 If you extended the schema for Configuration Manager 2007, you do not need to extend the schema again for Configuration Manager 2012. 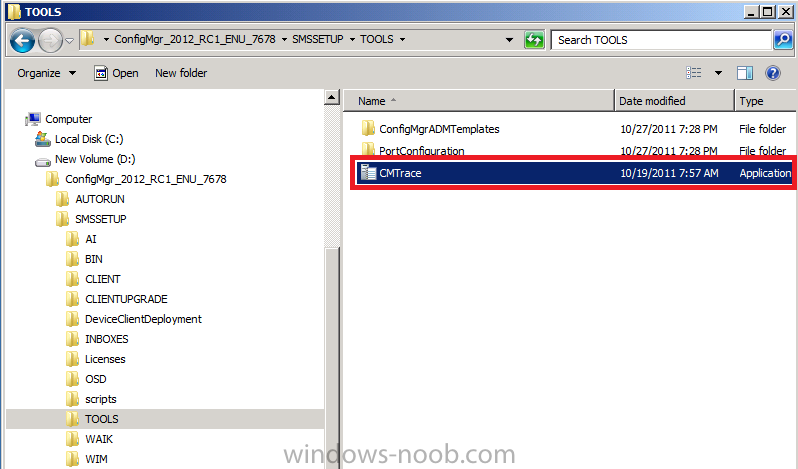 Perform the below on your Active Directory server, simply browse the network to your sccm server \\sccm\d$ and locate the folder where you uncompressed SCCM 2012 and find \SMSSetup\Bin\x64\Extadsch.exe, right click and choose Run As Administrator. 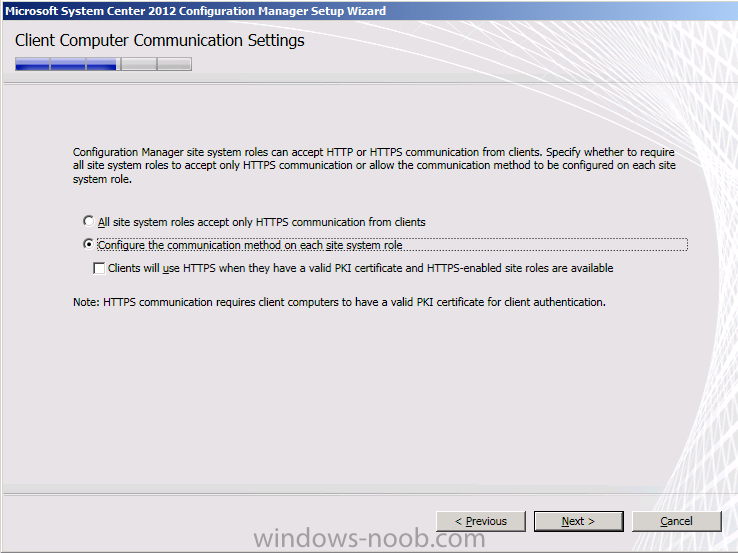 <10-27-2011 07:31:43> Modifying Active Directory Schema - with SMS extensions. ﻿<10-27-2011 07:31:45> Defined attribute cn=MS-SMS-Site-Code. ﻿<10-27-2011 07:31:45> Defined attribute cn=mS-SMS-Assignment-Site-Code. ﻿<10-27-2011 07:31:45> Defined attribute cn=MS-SMS-Site-Boundaries. ﻿<10-27-2011 07:31:45> Defined attribute cn=MS-SMS-Roaming-Boundaries. ﻿<10-27-2011 07:31:45> Defined attribute cn=MS-SMS-Default-MP. ﻿<10-27-2011 07:31:46> Defined attribute cn=mS-SMS-Device-Management-Point. ﻿<10-27-2011 07:31:46> Defined attribute cn=MS-SMS-MP-Name. ﻿<10-27-2011 07:31:46> Defined attribute cn=MS-SMS-MP-Address. ﻿<10-27-2011 07:31:46> Defined attribute cn=mS-SMS-Health-State. ﻿<10-27-2011 07:31:46> Defined attribute cn=mS-SMS-Source-Forest. ﻿<10-27-2011 07:31:46> Defined attribute cn=MS-SMS-Ranged-IP-Low. ﻿<10-27-2011 07:31:46> Defined attribute cn=MS-SMS-Ranged-IP-High. ﻿<10-27-2011 07:31:46> Defined attribute cn=mS-SMS-Version. ﻿<10-27-2011 07:31:46> Defined attribute cn=mS-SMS-Capabilities. ﻿<10-27-2011 07:31:47> Defined class cn=MS-SMS-Management-Point. ﻿<10-27-2011 07:31:48> Defined class cn=MS-SMS-Server-Locator-Point. ﻿<10-27-2011 07:31:48> Defined class cn=MS-SMS-Site. ﻿<10-27-2011 07:31:48> Defined class cn=MS-SMS-Roaming-Boundary-Range. 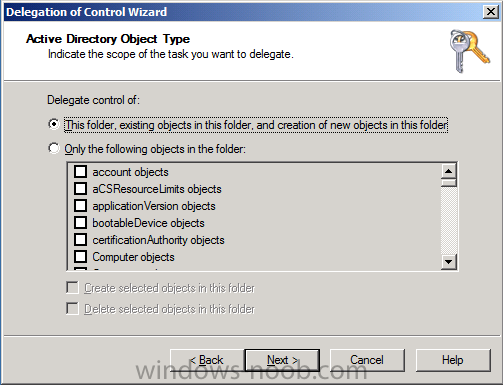 ﻿<10-27-2011 07:31:48> Successfully extended the Active Directory schema. 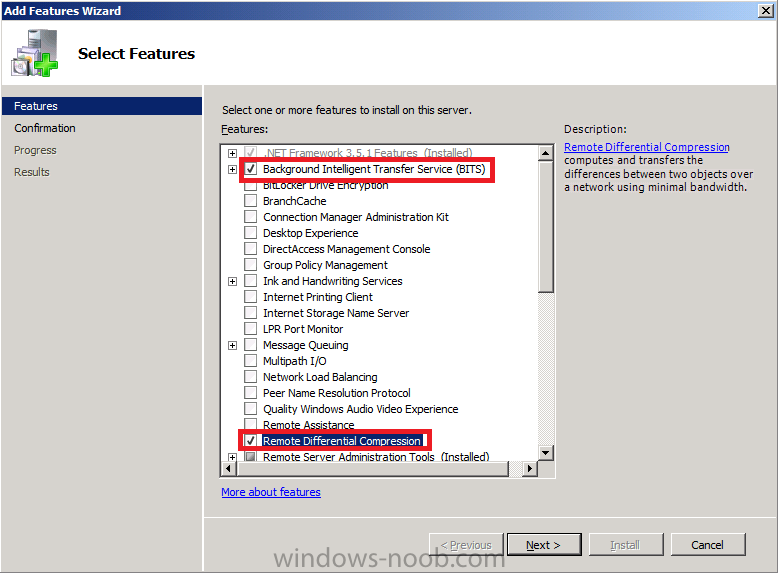 Select Computer Configuration, Policies, Windows Settings, Windows Firewall with Advanced Security and select Inbound Rules, choose New and follow the wizard for opening up TCP port 1433 as per this guide on Technet. Once done, repeat the above for Port 4022. 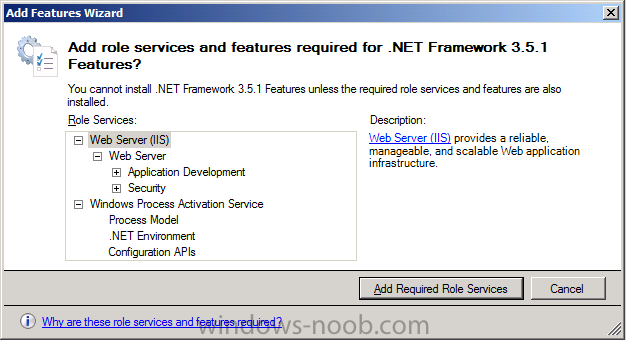 Verify the following IIS components are installed in addition to the ones preselected by the wizard. answer yes to any additional prompts, then Click Next and Install and close when done. Finally, in Server Manager click on Add Features, place a selection mark in BITS and RDC. In this guide I chose to use SQL Server 2008 SP2, CU6 with the hotfix mentioned below, that is fine for Release Candidate 1. If you are using RC2, then see step 10.b below. Note: You can download the Trial version (180 days) from here. you can download CU7 from here. 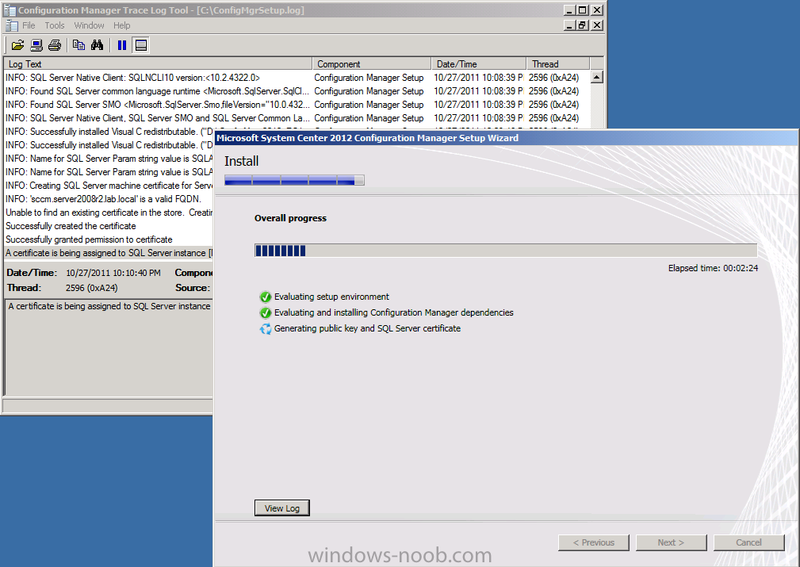 To Install SQL server you can follow this guide but please install SQL on D:\Program Files... and when running setup.exe right click and choose Run as Administrator. 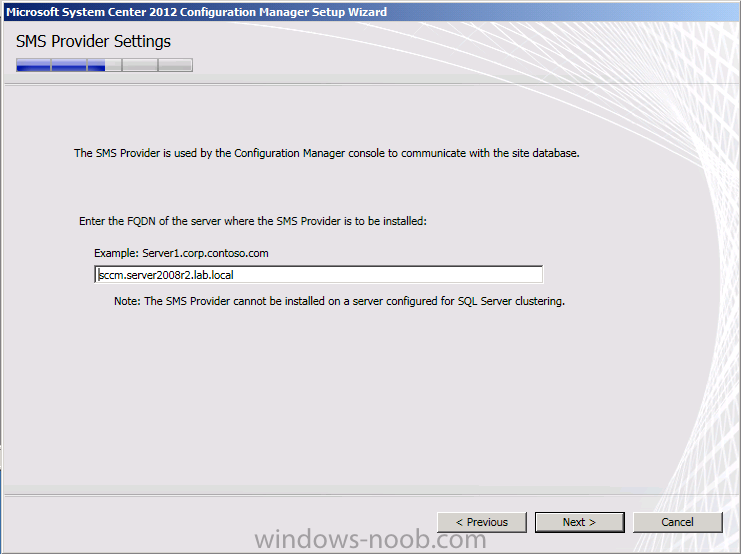 After you install SQL Server 2008, you must install SP2 and then CU6 and finally install KB2603910. Note: CU7 is available and it's supposed to contain the above hotfix, however i have not tested it yet. Step 12. 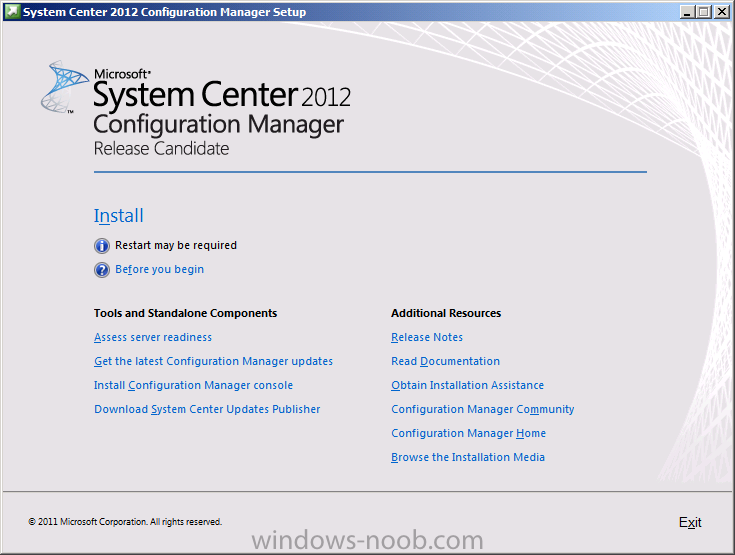 Install Configuration Manager 2012 Release Candidate. TIP: you can open C:\ConfigMgrSetup.log with Configuration Manager Trace Tool available in the extracted media to and review the contents of the file, it will inform you of any issues during installation.